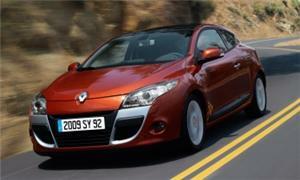 The new Renault Megane has been singled out at an awards ceremony in London for its safety qualities. Described as being indicative of the safety philosophy adopted by the French marque, the model is the only vehicle ever to have achieved a score of 37 points out of 37 in Euro NCAP’s safety survey. This, coupled with the strong performances of its other cars in safety assessment surveys, enabled Renault to pick up the coveted safety award at the 2009 Fleet World Honours. "Renault are regular winners of this award, based on their outstanding efforts in ensuring the NCAP ratings are such a vital consideration when they introduce a new vehicle," commented chairman of the judges George Emmerson. Twin side-impact sensors, six airbags, ABS and emergency brake distribution are all features of the new Renault Megane, while Renault also attempts to reduce the number of accidents on the roads through the education of drivers. In addition to focusing on safety, Renault also sought to improve the style, power and reliability of its model when designing the new Megane. The megane may be safe but apparently many models are a nightmare to work on. There was an article on Fifth Gear about changing the headlight bulb. Some dealers wanted to charge up to £140 for this due to them having to removed bodywork to get to the bulb ..ridiculous !